The Airport Corporations of Vietnam (ACV), the major airport operator in the country, has chosen contractors from Japan, Europe and Vietnam who expressed interest in joining the Long Thanh International Airport project. The enterprises include Japan Airport Consultants, Inc. ; ADP Ingénierie ; Nippon Koei Co., LTd. ; Oriental Consultants Global Co., Ltd. ; Airport Design and Construction Consultancy One Member Limited Liability Company; Transport Engineering Design Inc.
ACV has also nominated South Korean Heerim Architects & Planners Co. Ltd. which won the design contest for a terminal at Long Thanh International Airport with a lotus-inspired design (LT-03), to become the special sub-contractor building the basic design for the terminal. 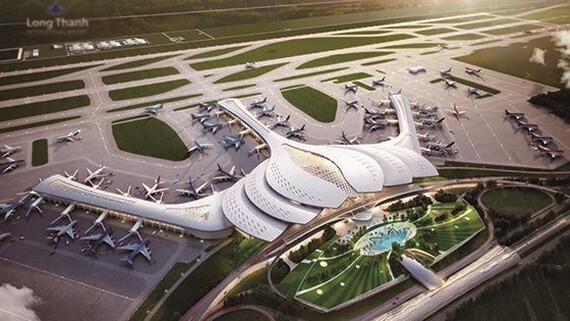 Airport Corporations of Vietnam (ACV) will report to the Ministry of Transport about the selection of contractors and consultancy firms for the project of Long Thanh International Airport in a session in October, 2019. Construction of Long Thanh International Airport is expected to begin in 2020 with completion in 2025.